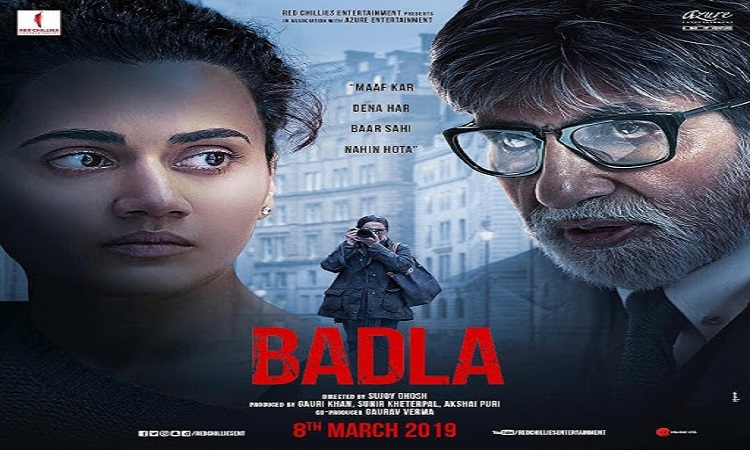 Continuing to rule with strong content, Sujoy Ghosh directorial Badla is maintaining a stronghold at the box office. Despite new releases, the Amitabh Bachchan and Taapsee Pannu starrer continues to woo audience raking in 67.32 crores. The total collection of the second week is Fri - 4.05 cr, Sat - 6.70 cr, Sun - 8.22 cr, Mon - 2.80 Cr, Tue - 2.60 cr, Wed -2.60 cr, Thus - 2.35 cr, The total collection of week 2 is 29.32 cr. Prior to which week 1 collection was 38 cr. The crime thriller starring Amitabh Bachchan and Taapsee Pannu has collected 67.32 crores in two weeks owing to the positive word of mouth hailing the murder mystery.